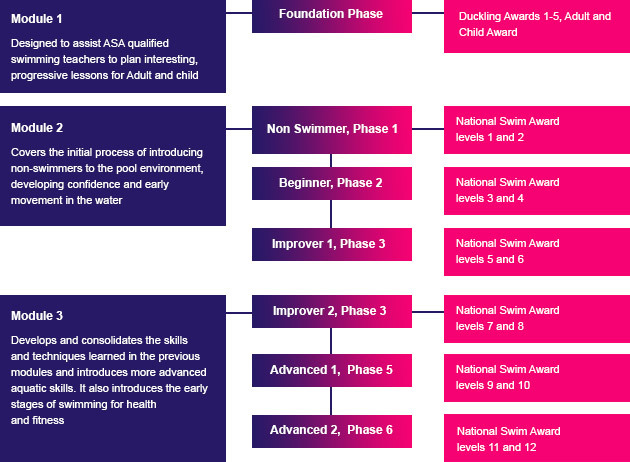 We follow the National Plan For Teaching Swimming as part of our teaching programme. The National Plan for Teaching Swimming (NPTS) is a nationally recognised template for learn-to-swim lesson providers to follow and therefore ensure that the structure and quality of their swimming lessons creates good competent swimmers. The Plan, recognised by Ofsted, takes pupils through 8 progressive phases from adult and child to pre competitive swimming. The emphasis within the NPTS is on quality of swimming strokes and not simply on the distance that can be swum. Through repetition, revision and consolidation, pupils are encouraged to develop a multi skilled approach to swimming. As not all swimmers want to become competitive swimmers, the NPTS gives pupils the opportunity to develop skills from all swimming disciplines: swimming, diving, synchro, water-polo and lifesaving, so keeping their interest within the sport.